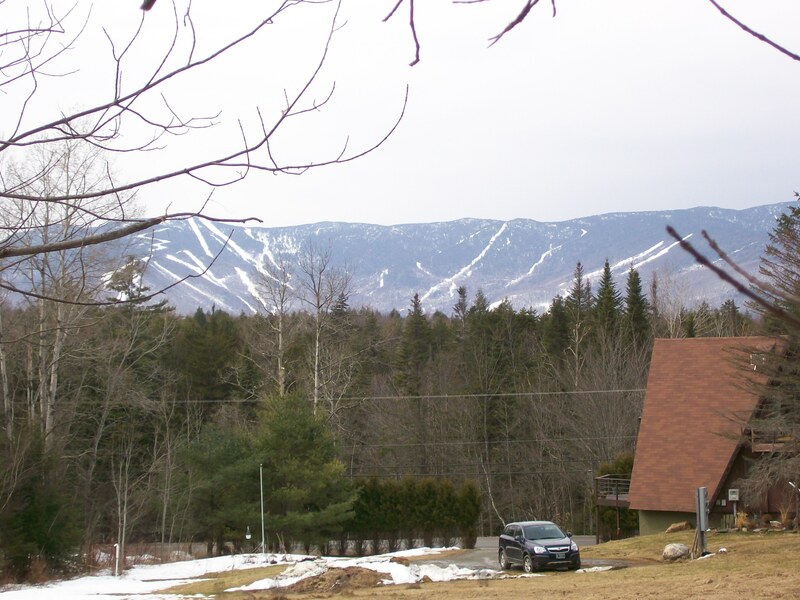 Sugarbush Resort - Lincoln Peak Area; Warren, VT - Take a day trip! What to do here: Sugarbush is a four-season resort with activities for everyone. They’ve also built out more of a base village in the past few years with more activities in the winter for those who don’t ski and room for lots of other activities when there isn’t snow on the ground. 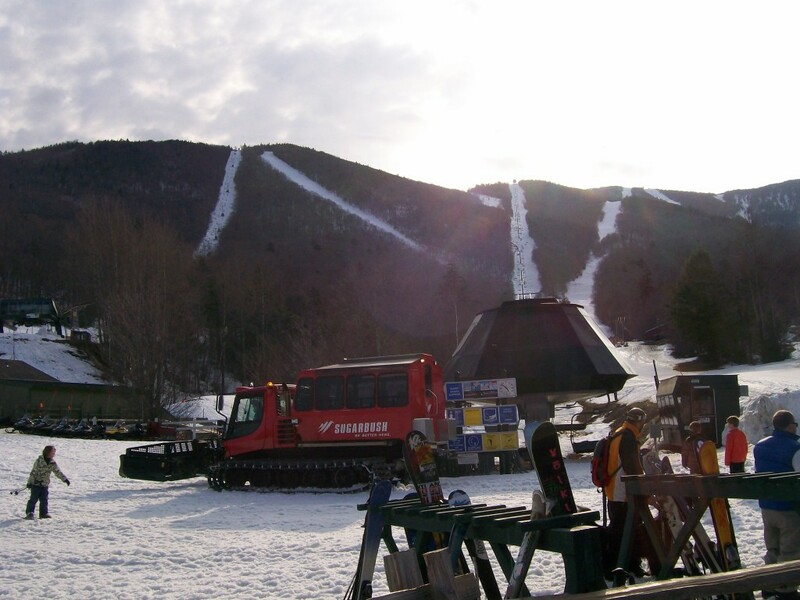 Skiing & Snowboarding: Sugarbush is one of the premier resorts in New England with two distinct areas and lots of great terrain. Personal favorite runs include an unmarked glade off the top of Jester and Rumble in the Spring. Snowshoeing: Since Sugarbush has an extensive system to make snow you are more likely to have a surface to snowshoe on in a bad snow year, however you’ll be sharing the trail with lots of downhill skiers and snowboarders; not all of whom will be keeping an eye out for you or staying in control. Mountain Biking: Sugarbush runs one of their lifts in the summer and has a marked and maintained mountain bike trail system. Hiking: Some of the ski runs at Sugarbush make great hikes in the summer. The view from the top of Lincoln Peak is amazing and, on a clear day, you can see across Lake Champlain into New York with views of the Adirondacks. Zip Line: Sugarbush has a zip line in the summer. Scenic Lift Rides: In warmer weather Sugarbush offers rides up the Super Bravo lift for panoramic views of the Mad River Valley. You cannot get to the summit of Lincoln Peak on this lift alone, if you want to go up to the peak you’ll need to hike up Jester after you get off the lift. Special Events: Sugarbush has a busy events calendar year round. From their awesome Brewgrass Festival with Vermont brewed beer on tap to pond skimming and lots of other great events there usually something happening at Sugarbush. For their events calendar check out their website. Golf: Sugarbush has a lovely 18 hole course that reflects the beauty of the valley that it was designed for. Disc Golf: Sugarbush has two disc golf courses, one at the base and one that you ride up the lift for and play as you walk down. Tennis: Sugarbush has extensive tennis facilities with programs for people of all ages and ability levels. For more information please visit their website. Favorite Activities: Sugarbush is easily one of my favorite ski resorts and the Castlerock area after a fresh snowstorm or on a spring day is one of my favorite things. I also love the hike to Lincoln Peak since there are plenty of paths up and the view from the top if amazing. I’ve also enjoyed Pond Skimming and, especially if you’re a beer aficionado, the Brewgrass Festival in June. Plus, you never know what you might find; I ran into paragliders the last time I was up there! Facilities, Fees and other information: Sugarbush is a full service resort so they can take care of everything from your activity of choice through to lodging and a pretty good meal depending on what you like.